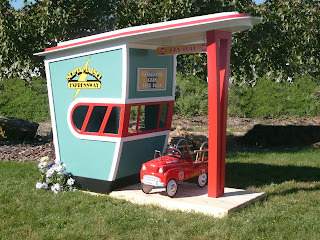 side Diner playhouse and we just created this adorable Highway Toll Booth playhouse. Imagine the children's delight when driving pedal cars around a turnpike. Makes you feel like your living in a rerun of "Leave it to Beaver". Happy Motoring!! !